In its intensive development in recent decades, the museum has become a symbol of industrialization of culture and culturalisation of social life, economy and urban planning. Not only has it taken the place of industry in the post-modern city – functionally, and often also physically, in abandoned industrial complexes, but it has gradually adopted its spatial behavior and logic of clustering and networking too, which is the subject of my research. After an extensive doctoral study on the global phenomenon of museum clusters and networks, in this study I focused on their potential in the region that effectively bypassed the museum boom, and instead constant economic, political and social crisis were going on. 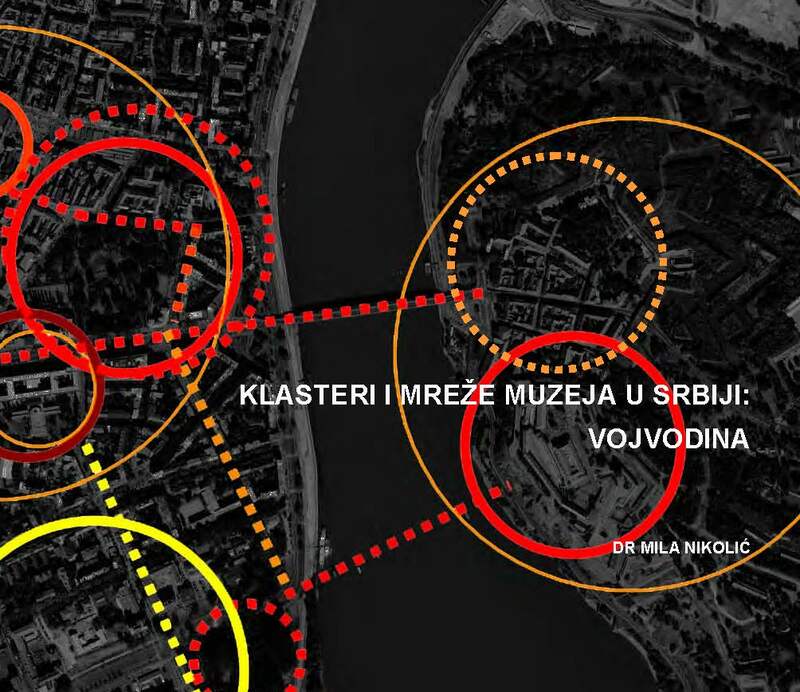 Stressing the importance of the “museum cluster effect” in the post-Bilbao and (post)crisis era, the study examines the macro-level of cultural urbanism in the cities of Serbia. It maps clusters, routes and networks of museums and other cultural institutions and spaces that support them, analyzing their role and potential in urban and regional development. In the search for new urban models, cultural infrastructure today has the potential to become a transformative and connective tissue of the city and society, turning the culture and education into urban project. In the context of the knowledge-based society and intelligent network city, the new forms, use and impact of the cultural landscape in the mobilisation and diffusion of culture and cultural information becomes a key issue and a global challenge. Here they are observed also as a form of exhibiting and representing architecture, urbanism and landscape, and teaching about them. The emphasis on the symbolic, object and spatial didactics of museum clusters and routes, ranging from traditional centers of power to natural reserves, inscribes this study and the phenomenon that it deals with in the development priorities, providing at the same time theoretical and practical contributions to the discipline of urban curating and to the understanding of culture as one of the key dimensions of sustainability.